Santa came early to southern France this year and a certain coach/brother has bestowed upon me a new Polar CS500 heart rate monitor / training computer – Tour de France version, baby! I know what you’re saying to yourself, “even if it’s a piece of crap, he can’t give a bad review since it was a gift”. Good point. Luckily it’s not a piece of crap and if it was I probably wouldn’t do a review. Am I convincing you? My first thought as I took the CS500 out of its black (à la Apple) box was, ‘this thing is huge!’, and it is. The screen is miles bigger than any other computer I’ve owned, but there is a reason, as I discovered the minute I started riding – nice, big, clear numbers. There are lots of things to read on one screen (e.g. time, altitude, cadence, heart rate) and they are all easily viewed. My CS500 came with the standard computer with heart rate monitor, plus a cadence sensor. This is something I had never had before and really never thought necessary – just another thing to fall off my bike, I reasoned. Well, after 5 rides with it I’m finding it pretty useful, since keeping a high cadence is good for pedaling technique and is generally thought to be kinder to the knees than grinding big gears. It’s a good reminder to keep spinning. Back to the computer, there are plenty of functions that you’d probably expect to find. You’ve got a tripometer, altitude climbed, actual altitude, an ‘inclinometer‘ (I’m not embarrassed to admit I’ve learned a new word today), laps, etc. I haven’t even come close to using everything yet, but I’ve got plenty of kilometers next season to play with it. One little problem I have noticed is that, because the computer swivels (there is only one actual button, but mostly you click by tilting the machine left and right, i.e. the thing moves), it’s not as ‘solid’ as my other computers have been, so there’s a little rattling sound when riding. For those of you, like me, go bonkers at the slightest unknown noise on your bike, this could quickly lead to a straight jacket. Luckily, it was easy to identify where it was coming from and, having that intelligence, my mind was put at ease. I don’t really hear it anymore. One more thing on the ‘swivel’: it’s easier than aiming for small buttons, like all my other machines have had. You really can’t miss, since you just need to hit the (very large, as we now know) screen someplace to go forward or back. The coolest thing I got with this new toy was this little USB stick that, when stuck in your computer (the one at home, not on the bike), recognizes when your bike is in the room and can transfer your training data wirelessly from the computer (the one on your bike, which is now in your home) to Polar’s online training site, where all sorts of fun things happen, i.e. graphs and data! The site will give you the usual combination of graphs and statistics, plus a ‘diary’ of all your rides. Other users (ahem…like coaches..) can access your data, if you let them and you can easily email or share your rides with whoever you want. The site goes farther and keeps track of your ‘training load’ (using data like age, weight, height, HR that you input) and can tell you if you are ready for another workout or should take a rest. Obviously this is just to be taken as a guide, but I’m already finding it to be nice added value and I see from looking at other people’s diaries that it seems to work pretty nicely. For those unlucky ones without their very own step-sibling coaches, the site has training programs, said to be created by expert coaches (for cycling, running and swimming) that I guess can be tailored to your particular situation. It seems like I can post my training sessions to WordPress, so hopefully this will give an idea of what the site looks like (this view is limited. 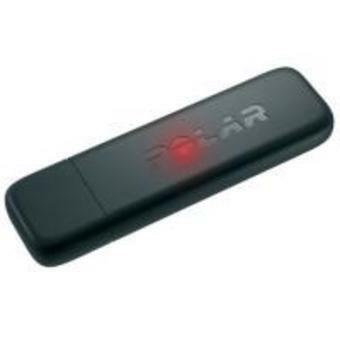 There are more bells and whistles for Polar users). Pont St. Nicolas 04.12.2011 12:23. For true tech heads I’m sorry to report there is no GPS in the CS500 (Tour de France model, baby!). My guess is that Polar is doing this deliberately, since they seem to be marketing themselves as makers of products for ‘serious athletes’. Or, it’s a simple money grab and they make you buy one more tool (they do have GPS devices). Still though, maps would be cool, Polar. There you are, an attempted unbiased look at my new toy. Hope Santa finds you all with some bike gear this year. 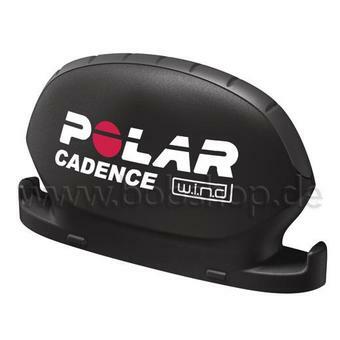 This entry was posted in Cycling, Reviews and tagged polar cs500 review. Bookmark the permalink. 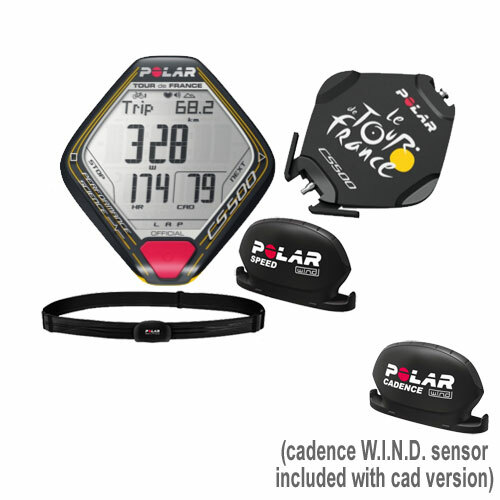 The datalink and the cadence sensor take way out of my price range…..but I would like one. Mine, too. That’s why it was so nice to get it as a present! The Garmin 500 isn’t that expensive anymore (what about the 200?). That gives you power and cadence and GPS and a simple cord to plug in (mini USB->USB) and connect to Garmin Connect (free) or Strava (free). I consider cadence non negotiable for proper training. Some would argue you need power to train properly (I disagree). GPS super useful especially when you can download other people’s rides from Strava. I agree, Tim. Maps are very cool and also useful, as you said, especially for sharing rides. I suppose power will come down in price over time. I don’t enough about it to make a comment, but I know there are those that swear by it and those that…don’t. I’d like it just to see how many watts I’m really producing. Or maybe I don’t want to know that. Serious toys. I love it. Glad for you and look forward to inspecting many graphs. If I get graphed out, then I only want graphs that go up, Up, UP! I like the idea of an angle of the dangle meter built in. And since the taramontane was blowing at about 60kph today I’d like a machine called a WIND to factor in another 2.5% for every 10kph. Man alive but did I struggle back up the hill this afternoon……. As I recall, the wind down your way is pretty ferocious. It was blowing here today as well, but I was ‘sur mes fesses’, I’m happy to report. I think you’re on to something with a ‘wind factor’ function. It’s something that can affect speed greatly, not to mention moral and sanity. Yup! For the last 5k I was fresh out of ésprit….. But I do like the look of your new toy – and not actually that expensive – if said in a pleading kind of way to she who guards the pennies. Good point about the batteries. Do you still have that Garmin we used in 2007 or have you upgraded? I really like the maps, so maybe someday I’ll get a little GPS to throw in my pouch or something. If you look at the two reviews at the bottom, which 9/10 thought useful for one, and 5/5 thought were useful; there are some VERY distinct drawbacks which I think could be a deal breaker for me personally. Just figured I’d give you a heads up! On a lighter, much more lactic acid filled note, I’m 2 weeks into waking up my legs after a long winters nap, and I can barely make it to the bathroom my legs are so stiff. ..
That’s great input, Matt. I didn’t know about the battery issues with the cadence and speed, actually. My unit also ‘rattles’, like the one reviewer was saying, but I got used to that pretty quickly, and my friend John has been having trouble with the USB/software (he lost several workouts, which is no fun). Definitely some glitches to worked out over at Polar, it seems. Good luck with those legs. And even though they’re just waking up I’ll bet their fresher than mine. I’ll take the lone for the weekend race and take my chances!